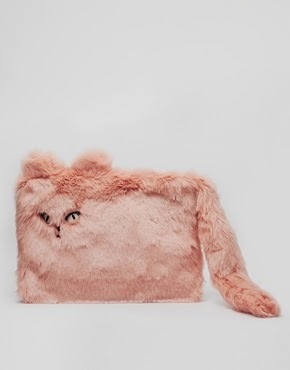 In case you were wondering what it is, it's a plush pink cat clutch bag. Someone please buy this and use it and show me how you would make this work because I just cannot even.... I've no more words.